The Epcot International Food & Wine Festival kicked off its 20th anniversary year last week. Like many of you, we’ll be living vicariously through the photos and reports from others during the festival’s run. However, that doesn’t mean that we can’t have a little Food & Wine fun at home! We’ll be combing through recipes from the last 20 years to give everyone a way to take a bite, or sip, out of Epcot from your own kitchen. We have some bigger dishes that will make their way to our table in the coming weeks, but this week let’s start with a simple cocktail. 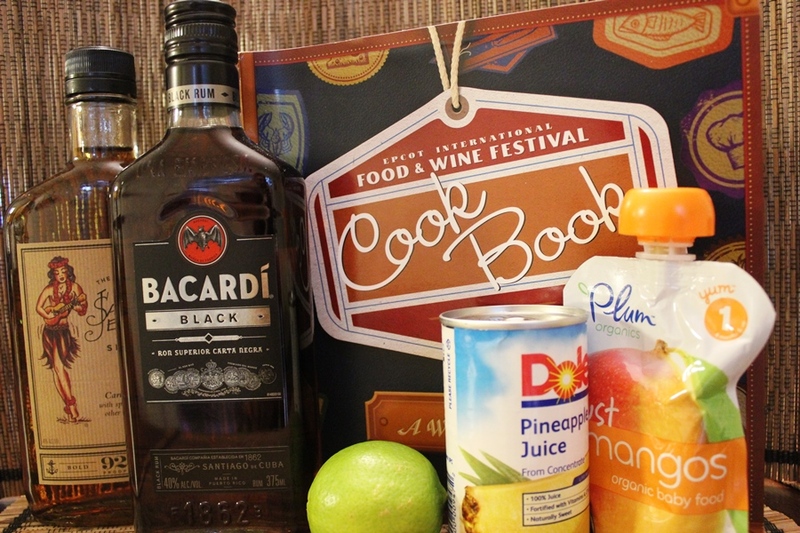 The 2011 festival brought Hawaii to the marketplace and cocktails to the cookbook for the first time. At that culinary crossroad we find the Hawaiian offering, the Seven Tiki Mai Tai. A few notes on the items above. As you can tell from the photograph, we were unable to get Seven Tiki Spiced Rum in our area. We love to stay as close to the recipe as possible, in this instance we did have to find an alternative spiced rum. We opted for Sailor Jerry, but you should use whatever you prefer. So that you don’t spend too much time in your search, since 2011 Barcardi Select has been rebranded as Barcardi Black. Lastly, if you’re having trouble finding mango puree, may I suggest a trip down the baby food isle? That’s right, an adult beverage infused with food fit for your toddler. 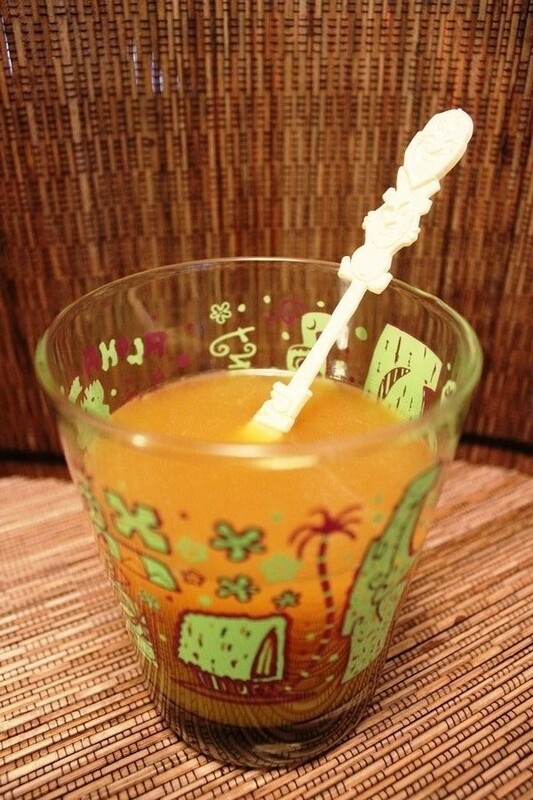 Pour Seven Tiki, pineapple juice, mango puree, and lime juice into shaker; fill with ice and vigorously shake for 30 seconds. Strain into double rocks glass filled with ice. Every Mai Tai recipe is a bit different, but this one will be a hit for those of you who are a fan of rum. It is a very strong drink, but the mango and pineapple do shine through. If you’re worried about the strength, I would recommend adding a bit more mango puree. It will cut the rum, but won’t carry the acidity of including additional pineapple juice. Overall, the Mai Tai is a nice, simple addition to your cocktail rotation. Next week we’ll be bringing something savory to the Food & Wine home table.